In my opinion, the doctor knew that Andjrez was progressing, and swore a false oath- or rather swore about his conviction (A normal oath does not apply to him as he has his private God). Remember, this is anti to what is there in the Second Commandment, the doctors takes a false oath, and saves a life, makes Dorota happy (in the last scene she plays the violin and then smiles), and also makes her husband happy. So this is an exception to the Second Commandment. Interesting comment, Srijan. I also think the physician knew Andrezj was getting better, and yet perjured. Why? To save the baby, maybe... The point is he took an oath without respecting the sacredness of the oath, and the consequence was that from that moment on he would carry the burden of a lie forever: he knew the child wasn't Andrezj's son. The second commandment is the following: "You shall not make for yourself a graven image, or any likeness of anything that is in heaven above, or that is in the earth beneath, or that is in the water under the earth; you shall not bow down to them or serve them; for I The Lord your God am a jealous God, visiting the iniquity of the fathers upon the children to the third and the fourth generation of those who hate Me, but showing steadfast love to thousands of those who love Me and keep My Commandments." Dorota treats the doctor as god, thus idolizing him. A wonderful movie centering on the moral dilemma about an abortion for both Dorota and the doctor. What is beautiful is that the movie's ambiguities make space for each viewer to judge the morality involved according to their own value-priorites -- whether based on religion or not. The doctor's priority appears to be saving life and perhaps that is why he lies to Dorota (if he is lieing) that Andjrez will die in order to save the life of the potential baby. What is left unresolved is whether Andrjrez knows that Dorota's preganancy is not by him and will she tell him? If she does not - and one takes it from the last scene that he thinks the child is his - then Dorota will be carriying the burden of that deceit. To me that deceit is more damaging to their love and life together than the unnecesary religion-inspired guilt about having an abortion. The doctor obviously knew that Andrzej was getting well. He intentionally lied. However, it would be a mistake to think that he violated the second commandment, for, in this case we are dealing with a personal God, not a transcendental God. Being a doctor, his first commitment is to life, and he should do whatever it takes to secure life. Thus lying does in no sense violate his commitment to his personal God, a commitment that dictates the saving of life. This theme will be repeated in Dekalog 8, where the ethics professor will say that no idealism is bigger than the life of a child. Thank you for your comments, Jugu. The varied enumerations of the Ten Commandments do make things more complicated. Given the fact that since World War II Poland has become overwhelmingly Roman Catholic (89%), it would be curious, but interesting, if Kieslowski and Piesiewicz were to have made reference to Protestant renderings of the Ten Commandments. If we were to take your suggestion that there could also be a reference to the “Thou shalt not make unto thee any graven image” commandment (i.e. do not worship false idols) in “Dekalog 2", there could be several possible interpretations. In your review of “Dekalog 2", you speculated, “Could the God in question be the good dying husband and the ‘carved’ image of the husband be the wife’s lover outside her marriage?” I am not so sure about that one, and there may be other possibilities. Although Hindu wives (for example, Chhoti Bahu in “Sahib Bibi Aur Ghulam” – see my review of this film: http://www.filmsufi.com/2016/08/sahib-bibi-aur-ghulam-abrar-alvi-1962.html), may be sometimes instructed to worship their husbands as gods, this is not typical of Christian women. 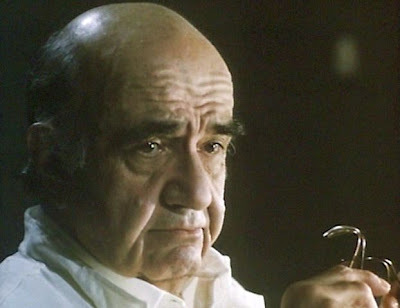 Perhaps another, alternative allusion to the Protestant Second Commandment in “Dekalog 2", though, might be to the doctor, who could be thought of as having placed science above God. For him, natural science may have been his “graven image”. Anyway, thanks again for your comments, and I appreciate your thoughts. Above Srijan says the doctor knew the patient was progressing. It is interesting that he and others above took that to mean he was getting better. I took it to mean what the scientist in the doctor meant, which is that the DISEASE is progressing, which would eliminate the idea that he was lying to save the baby.